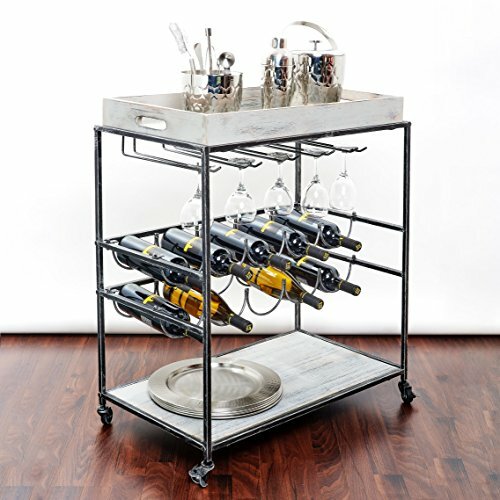 Beautiful and rustic in style and design, the “Avalon” Wine & Serving Cart is perfect for adding storage to your bar and dining rooms. 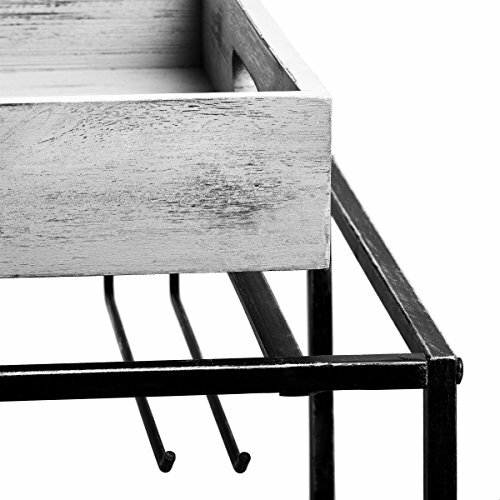 The sturdy iron construction guarantees this cart’s lasting quality. Made with an Antique Pewter powder-coat finish, and features Barnwood Gray stained Rubberwood. 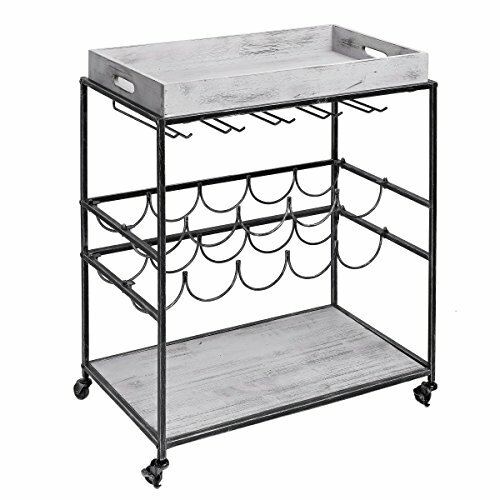 While the top wooden shelf/lid sits securely on top and is stabilized within the framework of the cart, it can also be removed and used as a serving tray. 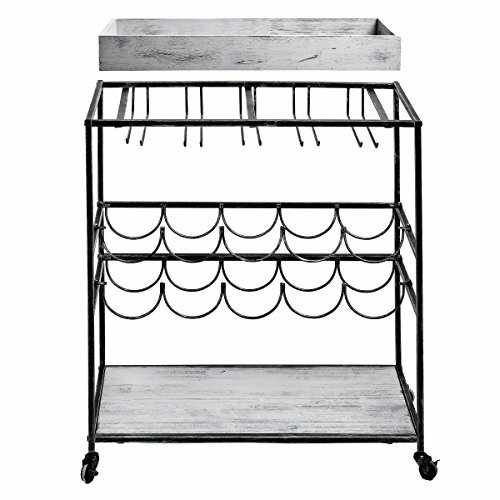 The wheeled “Avalon” Wine & Serving Cart accommodates wine bottles, wine glasses, and other barware and serveware – it holds everything necessary for a portable bar. Includes removeable serving tray! While the wooden top shelf/lid sits securely on top and is stabilized within the framework of the cart, it can also be removed and used as a portable serving tray.